With just three easy steps, we can provide you with a competitive quote to help you get on with running your business. Initially, we will talk through your current policy and then discuss your business and its specific needs with a site visit if you would like. Next, following discussions with a range of reputable Insurers, we will provide you with a detailed quotation based on your demands and needs, which we will then explain fully so that you can make an informed decision for your business. 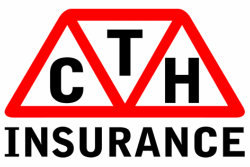 The final step will be the best you’ve ever taken, by accepting a policy with CTH Insurance for your Nursery Business, you will be secure in the knowledge that we will always be here for your business.